The Ecuadorian government has announced that it is giving an Indigenous organization two weeks to abandon the headquarters it has held for almost a quarter of a century. 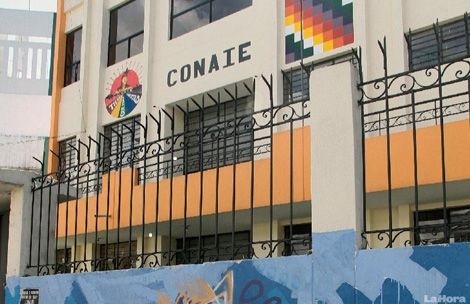 A December 11 letter from the Ministry of Economic and Social Inclusion informed the Confederation of Indigenous Nationalities of Ecuador (CONAIE) that it needed their building to use as a center for homeless children addicted to drugs and alcohol. The CONAIE leadership says that they will refuse to leave. They demanded that they be given title to the building that they have used since 1991. According to Herrera, in the building “we drafted proposals for a new constitution, we gave life to the proposal for a plurinational state.” He said, “in this building we have defended democracy.” The building belonged to everyone, and Herrera said they would not allow the government to kick them out. Nina Pacari, former Minister of Foreign affairs, member of the United Nations Forum for Indigenous Peoples, and Judge of Ecuador’s Supreme Court, defined the eviction as direct persecution against Indigenous peoples. 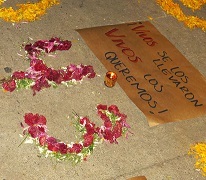 Former CONAIE president Humberto Cholango proclaimed that if the government threw them out they would return. He criticized Correa’s actions as part of an ongoing campaign against the CONAIE, including its bilingual education and collective rights campaigns. 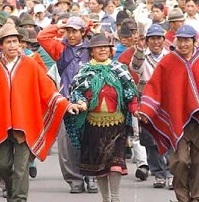 The CONAIE was founded in 1986 to unify all Indigenous peoples and nationalities in Ecuador into one unified movement. In 1990, the CONAIE emerged as the primary leader of a massive social uprising that challenged the social, economic, and political exclusion of Indigenous peoples in Ecuador. At the time, Democratic Left (ID) president Rodrigo Borja said he could not understand why the movement had revolted because no government had done as much for Indigenous peoples as had his administration. After strikes and negotiations, in July 1991 the Ministry of Social Welfare signed an agreement to let the CONAIE use the building until 2021. Over time, Indigenous activists expanded a simple building into a three-floor complex. 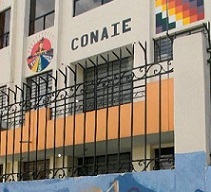 The CONAIE headquarters have been a center for social movement struggles against oppressive neoliberal economic policies. Repeated protests and campaigns, as well as positive proposal and initiatives, have come out of the building. The CONAIE has had tense relations with current leftist president Rafael Correa since the beginning of his political career in 2006. Initially some activists dreamed of an alliance between Ecuador’s strong social movements that had opened up political space for a progressive government and Correa. The future president had gained renown as a dissident voice as minister of finance in a previous administration. Talks between Correa and social movements broke down when he refused to run in the vice presidential slot with an Indigenous candidate at the head of the ticket. During Correa’s almost eight years in power, relations with what should have been his strongest social movement allies have slowly degenerated. Indigenous activists have been particularly vocal in their criticism of the government’s extractive policies. Repeated protests have denounced the government’s reliance on gold and copper mining and petroleum extraction, and have defended community access to water rights. Seemingly the final straw for the Correa administration was when the CONAIE joined a reinvigorated Unified Workers Federation (FUT) protest on November 19 against reforms to the labor code. In 1938, maverick General Alberto Enríquez Gallo promulgated a very progressive labor code that borrowed heavily from Article 127 in the landmark 1917 Mexican constitution. Labor activists, together with their social movement allies in the CONAIE, opposed the revisions that would outlaw the creation of public sector labor unions. Correa claimed that the almost eighty-year-old labor code was in need of updating to meet the realities of the twenty first century.